So initially, Casey Neistat posted the above video where he compares the DJI Phantom 4 with the new pocket-sized Mavic and gets some… well, disappointing results. Though the camera is awesome, the Phantom 4 is just so much better. However, after the video was posted, Casey updated with a comment regarding focus, and it looks like the Mavic is going to be just fine. Since Casey is working on a pre-release version, and the fact that it’s a little different than the Phantom 4, the initial video Casey posted looks like it won’t be indicative of the final product. This is really good news, since the GoPro Karma video looks vastly superior to the initial video Casey posted from the Mavic. 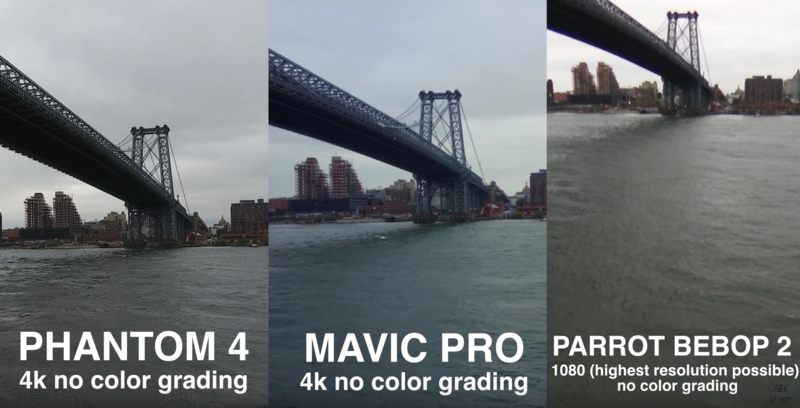 Unfortunately for GoPro though, it looks like the Mavic will be producing video that is on par with the Phantom 4, and the quality difference won’t be in the conversation at all when deciding to go GoPro or DJI.